Participant researchers of HiHA have so far independently conducted joint researches (including long-term dispatches of young researchers) with overseas research agencies such as Cancer Research UK, Harvard Medical School, Chang Gung Memorial Hospital in Kaohsiung, Taiwan. Based on such efforts, HiHA researchers were selected for the fiscal 2012 The JSPS Strategic Young Researcher Overseas Visits Program for Accelerating Brain Circulation (International Joint Research of Young Researchers Promoting Healthy Aging Sciences), and subsequently, it has continued to work on nurturing young researchers and conducting international joint research geared to promoting healthy aging sciences. 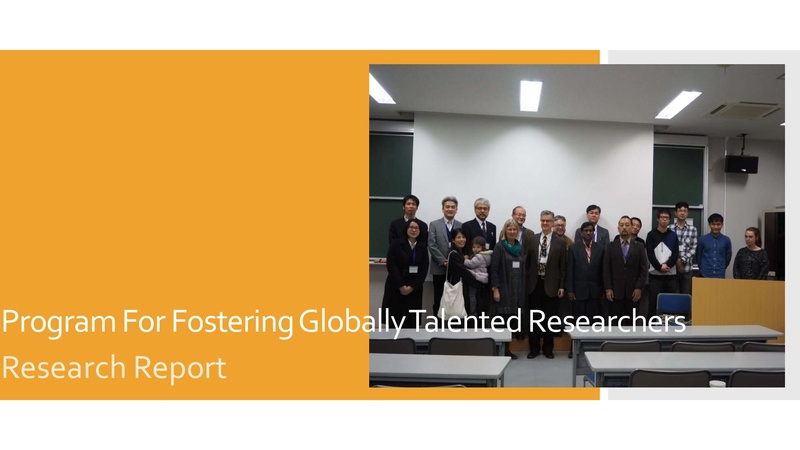 Meanwhile, having been selected as a research university in the Ministry of Education’s “Program for Promoting the Enhancement of Research Universities” in fiscal 2013, Hiroshima University has strived to reinforce its research capabilities. Moreover, in line with this strategy of reinforcing research capability, the President of Hiroshima University, on January 8, 2014, appointed Dr. Takashi Toda, Laboratory Head of the Cell Regulation Team of Cancer Research UK, as a visiting professor of the university (Dr. Toda is scheduled to become a specially appointed professor from October 1, 2015). Based around Dr. Toda, the present JSPS Brain Circulation Program is being further advanced while strengthening collaboration with the biomedical sciences to establish the Hiroshima Research Center for Healthy Aging (HiHA). Strengthening of cooperative setups with overseas research agencies (signing of agreements, etc.) Cancer Research UK, University of Sussex, Chang Gung Memorial Hospital in Kaohsiung, Taiwan, Harvard Medical School, etc.